Inkling Presents: Adventures of the Third Kind! Topic: Inkling Presents: Adventures of the Third Kind! Re: Inkling Presents: Adventures of the Third Kind! It was nothing. Go back to sleep. Huh. It's an owl, after all. A really big one, like two or three feet tall. It's sitting there just looking up at you. 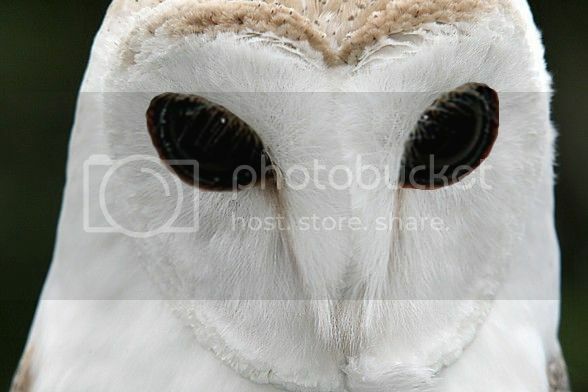 Are owl eyes supposed to be that big? And it's feet look like it's wearing rubber gloves or something. As if to break the awkward silence of you two staring at each other, it hoots twice. But its body doesn't move at all, and it sounds almost like it's a recording. The serial killer to be known as The Owl Killer is behind you. Hug the owl. Owls love hugs. You've obviously been spiked. Get yourself a glass of milk and go watch public access television until you're sober enough to go back to sleep. It occurs to you that while you've been in a staring contest with this owl thing, you haven't been paying attention to anything else in the house. This thing could be some kind of decoy and the real intruder could be right behind you. You spin around to make sure no one else is in the room. And the room decides to keep spinning for a second or two. ...Yep, still drunk, but no one else is in here. You turn back to the closet to find that the owl has vanished. You slowly look over your shoulder to see the owl sitting on the coffee table in front of your sofa staring right at you. Hey, that's what was out of place earlier. The table had been covered with snack bowls and assorted cups, cans, and bottles of alcohol. You were going to clean them up in the morning. Now there's no sign of them anywhere in the room, and the table is completely empty except for the owl. "Heeey, buddy!" You say to the owl. "It's been a weird night. We just need to.... calm down a bit. C'mere, let's go get a nice glass... do owls drink from glasses? Let's go get a nice bowl of milk from the kitchen, and watch Bob Ross until we feel better." You reach out with both hands to pick up the owl and carry him to the kitchen. It lifts up one wing and- is that a hand? Owls don't have hands. There's a thing in the center of its palm. You decide that this definitely isn't an owl, just as everything goes black. You wake up with a start. The sun is shining through the window. You ignore it and roll back over to go to sleep. Wait. You sit up in bed and rub your eyes. Man, what was that? That was one weird, vivid dream. No way you're going to be able to go back to sleep after that. Get up and make yourself a balanced breakfast. You'll be hung over, so better make that a Full Breakfast. Yes. the endorphins will help with your hangover. Update your blog about the owl dream. Man, such a weird dream, you think as you rub your eyes. You'll have to mention it on your blog or facebook or something. You get out of bed and yawn deeply, and notice that your throat and lungs feel all... itchy. Must be allergies kicking in. But you know exactly what will make you feel better: a huge breakfast, and maybe a little of your lazy weekend exercise routine. You shuffle over to the door to go downstairs and reach for the handle, but miss. Wait... you try again and pay more attention. Your hand goes right through the handle, like it was a hologram. You run your hand over the door. Even though it still looks like your normal wooden door, it feels smooth like glass. Pounding on the door sends a shimmering ripple over the surface and across the wall. You are beginning to think that this may not be your bedroom after all. Sink to your knees, pounding on the door and crying.